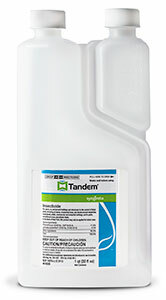 Tandem insecticide has two active ingredients, lambda-cyhalothrin and thiamethoxam, to help provide immediate and long-lasting control of bed bugs and more than 35 other nuisance pests. Tandem is formulated with iCAP technology so microcaps of multiple sizes provide immediate and long-term control for up to three months. When treating for bed bugs, apply Tandem as a spot, crack-and-crevice or void treatment. 1 Comment on "Syngenta Professional Pest Management: Tandem insecticide"
Tandem: Not for use on mattresses or boxsprings.